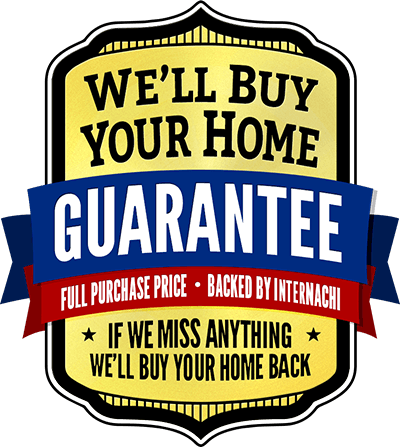 Keystone Home Inspections is excited to offer our clients an unprecedented new guarantee program backed by InterNACHI, the largest non-profit property inspector association in the world: the "We'll Buy Back Your Home Guarantee". This 90-day guarantee, unlike any other in the industry, gives home buyers a whole new level of confidence in the home and in the inspection performed by us. InterNACHI is so confident in our ability to thoroughly inspect your new home that they'll buy it back if we miss anything covered in the Standards of Practice. This guarantee is included with every full Pre-Purchase (buyer's) inspection we perform, at no additional cost whatsoever. Click on the logo above for full details.